Gaming and anime videos are huge on YouTube, but usually they are a separately reviewed on different channels. There is a user named, Retro Basement, doing something very unusual by combining these two popular categories and covering them all in one place. 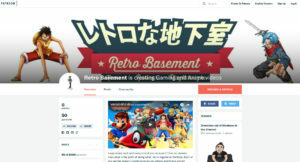 Retro Basement set up the Patreon page to raise money to help him keep improving the YouTube channel. The goal is to keep the process as transparent as possible, if you’d like to know more feel free to e-mail his at retrobasementgames@gmail.com. Yes, there are several rewards you’ll get for donating to the Patreon page. Donate just $1/month on the base level and you might be entered into the monthly drawing (This is still to be determined). 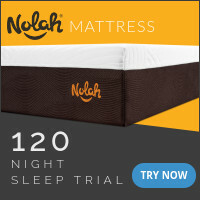 $5 per month will get you access to videos and contest a whole day before the general public. $10 or more per month lets you suggest a video topic to the channel and don’t worry you’ll get all previous rewards. Yes, there are several contests running right now actually! Retro Basement is giving away a Nintendo SNES Mini. Also there is The Vita One Piece game giveaway, RPG game giveaway, Nintendo eShop Code giveaway/contests, and the This is the Police for the Nintendo Switch Contest for all Patreons. If that doesn’t get you excited about contributing to his Patreon or subscribing to his YouTube page I don’t know what would. Video game reviews for Nintendo Switch, Super Mario Cereal Review, Unboxing Videos, Clothing and Fashion Reviews, GameStop vs. GameFly comparisons, and much much more. There is such a wide variety of topics on his channels. Help Retro Basement grow his Patreon channel today and support/subscribe to his YouTube channel when he covers gaming, anime, and virtual reality topics. 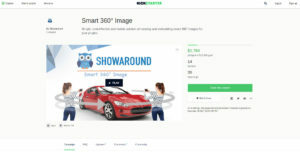 CashSherpa.com would like to introduce and new gaming and electronics startup store called Combobreakergne.com based in Georgia. 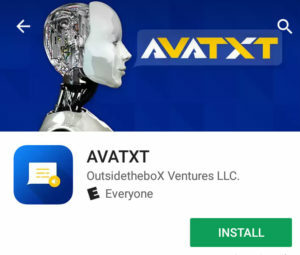 Visit them at https://combobreakergne.com/. What separates Combo Breakers from other gaming web sites is that it’s dedicated to providing quality game gear to customers not just in the United States, but around the world. They are also open to suggestions and comments just e-mail them at Sales@combobreakergne.com. If you are in the market for gaming gear visiting Combobreakergne.com will be worth your time. Shop for gaming bluetooth speakers, cable and accessories, electronic watches, step counters, gaming accessories, gaming headphones, gaming keyboards, gaming mouses, gaming mouse pads, and mouse and keyboard combo deals. When you first arrive on the Combo Breaker homepage be sure to first sign up for their newsletter so you can get all the latest products sent to your inbox. Be sure to check out their like of gaming mouses and gaming keywords. My favorite are the LED color changing keyboards on the site. 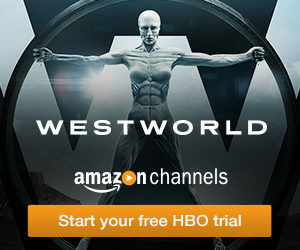 Yes, there is one noteworthy promotion I’m seeing. Get a free mouse pad with all orders, just pay shipping. Also, get free shipping on all other items. If you are looking for competitively priced gaming gear and electronics and want to support a USA based startup check out Combobreakergne.com. 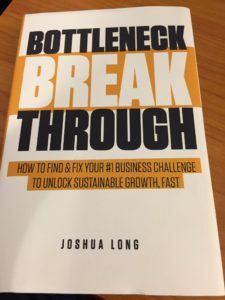 Just stated reading Bottleneck Breakthrough How To Find And Fix Your #1 Business Challenge To Unlock Sustainable Growth, Fast by Joshua Long and I’m loving it! Anyone looking to grow their own business should pick up this book. Bottleneck Breakthrough hasn’t been released yet, but I was lucky enough to get my hands on a brand shinny new pre release copy. You can apply the bottleneck breakthrough method to achieve predictable growth plateaus in every business, and every stage of revenue, whether you’re at $100K or $100M. Best of all his technique builds on what you already do in your business so you don’t have to completely overhaul your operation. A bottleneck according to the author is “any point of friction in your business that prevents you from generating more revenue or generating the same revenue more easily.” If your company is just starting out the most common bottleneck is the owner can no longer keep everything running smoothly. If your business does have a bottleneck this book will show you how to breakthrough step-by-step, complete with action items. Each chapter ends with a complete set of action items for you to follow. I found it interesting that Joshua Long places such importance on good management, especially in small business. I feel management has kind of become a dirty word, Josh feels it’s undervalued in small business and possibly overvalued in fortune 500 companies. Interesting perspective. “Small business owners equate the topic of management with bureaucracy, creating unnecessary oversight and slowing down the implementation process.” Joshua also recommends another “dirty word” in the book, a meeting. Yes, the dreaded meeting word, but not just any meeting a weekly implementation meeting. He guarantees that you at least will get back 3 hours for every one hour you invest in these meetings. Why Should I Even Listen To Author Joshua Long? The book breaks down it’s 6 sections by levels of growth. “The 6 levels of growth include: Mindset, vision, systems, management, strategy, and marketing.” First the forward details the bottleneck, then book goes into the big idea, optimization. Next, in marketing it go into your funnel, traffic pillars, and closing. In management book delves into basics, weekly implementation meeting, and confrontation. Systems is up next with creating one, delegation, documentation, and automation. Then book goes into vision asking readers to explain their goals, and creating a bottleneck breakthrough plan. Finally the book ends with mindset and getting free. It’s not just a book about generalities it’s a book with specific tactics and tips such as using Google Analytics, Tag Manager, Hotjar tracking tool, Xero the less clunky Quickbooks, and just good old fashioned spreadsheets. I’m just using these examples as proof this isn’t just a book with a birds eye view of the business world, it’s both macro and micro. The best of both worlds. I actually loathe most business books, specially because many authors tend to write about clique generalities or base writing solely off case studies. I do, however, like business books written by authors with first hand, in the trenches, experience. As far as I’m concerned there is no substitute for experience especially in business. That’s why I recommend this book, Bottleneck Breakthrough because it’s an step-by-step, actionable guide to business born out of real world experience. Thanks Joshua Long for writing such a comprehensive business book! Lux Atlanta’s CEO and Founder is D. Bryant. He plants to use the funds raised by the Indiegogo campaign to support expansion efforts. LUX Atlanta is actually the beneficially of great luck when they were suddenly endorsed heavily on social media by a well know NFL Player. LUX Atlanta now has a high quality problem on it’s hands. In order to continue providing world class service they need to obtain and office and at least one full time worker. 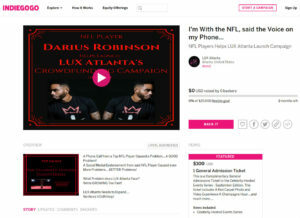 Curious to know who that NFL Player was who endorsed LUX Atlanta? Check out the actual endorsement YouTube video. The Indiegogo campaign also comes with lots of perks. For example donate just $100 and get 1 general admission ticket to the Celebrity Hosted Event Series. Donate $50 and get 50% off. Donate $200 and get 1 VIP level ticket. Donate $350 (Best Deal) and get 2 VIP tickets. As you can see there are lots of perks for those that donate. If you are interested in future LUX Atlanta events they have a complete list on Eventbrite https://www.eventbrite.com/o/lux-atlanta-12349384780. Help Lux Atlanta continue offering image-consulting/re-branding services, entertainment management services and celebrity-hosted events donate to their campaign today.